" Flamin Hot Seasoned Dry Firewood "
For all your winter and heating firewood requirements, SEASONED firewood is still the cheapest form of heating you can have. Woodstocks offer you the best selection Seasoned Firewood so that it will heat your home economically. We offer Pine - Mack - Gum - Kanuka. Firewood should always be cut in split from a log that has been Seasoned in log form for a minimum of 12 months. Oldman pine is 15 months, Mac is 2 years while Gum and Kanuka takes 2 years plus for optimum seasoning. The Seasoning gives you longer burning time, better heat and overall a better firewood burning experience. 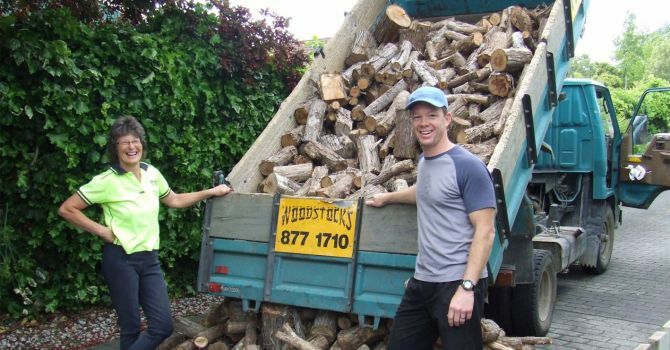 Woodstocks is a reputable Goodwood /Dry Wood Merchant and supply only carbon friendly, clean burning seasoned firewood for 20+ years to thousands of customers in Napier and Hastings. Don't be fooled by illegal firewood traders. Their wood is usually unseasoned, wet and usually short on measurement. 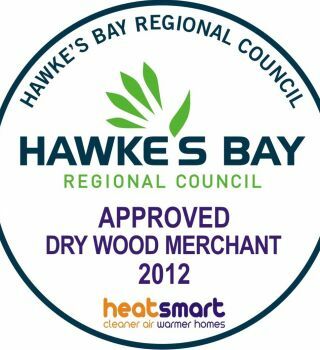 Only buy from a registered Good Wood / Dry Wood Merchant.